November 2015 – Every Pope. Every week. All the Popes thus far….. I gathered all the Popes together that I’ve made for this blog. 44 Popes down,only 222 Popes to go. Foam,sharpies and hot glue go a long way. I hope I’ve brought to light some interest in some long forgotten Popes as I learn about them myself. Pope Sixtus III was a Roman born man who continued the work of his predecessor Pope Celestine. This work mainly consisted of battling heresies;The early Popes are always seeming to do nothing but battle heresies. The Church was still locking down official doctrine and having members go off with their own ideas about what or who Jesus and Mary were was just not productive to the Church body. 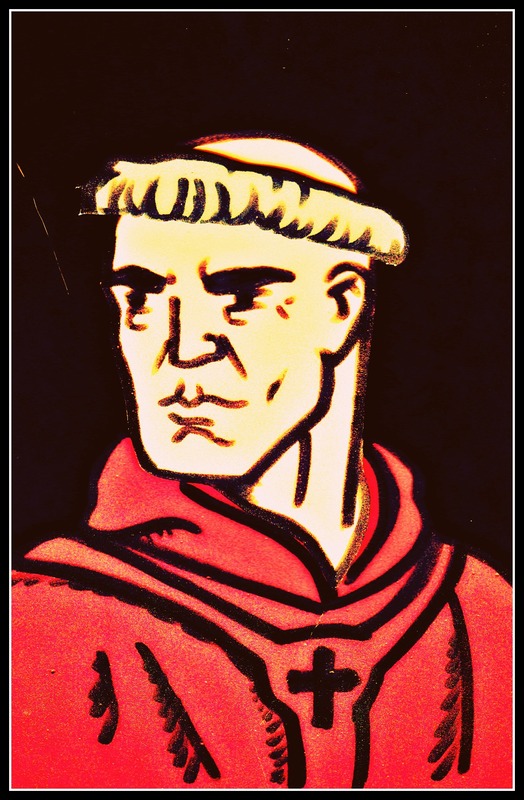 Sixtus was mostly remembered for his work in rebuilding what he could of Rome after it had been invaded and sacked some 30 years earlier. He restored the Basilica of Santa Maria Maggiore,which still stands today,he built the Basilica of Santa Sabrina and he accepted gifts from the emperor for St Peter’s and the Lateran palace. He also built the very first monastery in Rome. 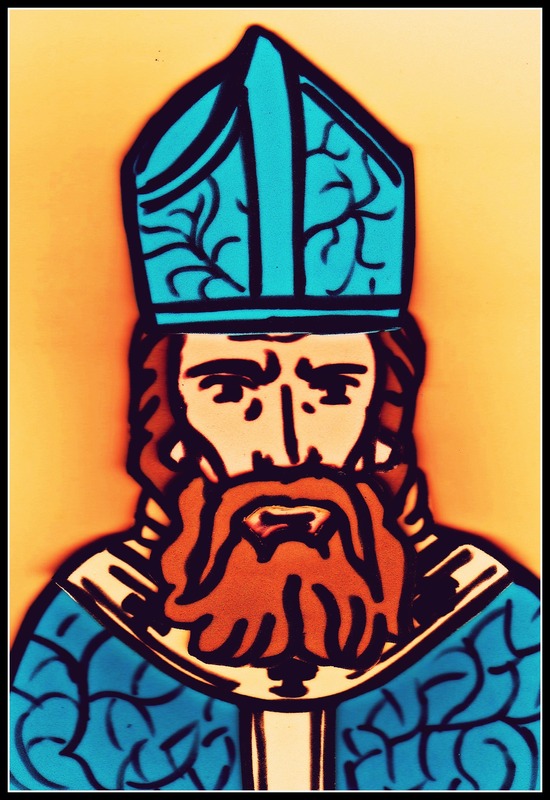 Sixtus was a pen pal of Doctor of the Church St.Augustine so that’s something to hang his Pope hat on. His feast day is March 28th. Celestine came to Rome from Milan where he had worked under the legendary Priest St. Ambrose. He worked his way up through the ranks of the clergy and was elected to the Papacy unopposed,as he was very popular in the Church. Pope Celestine was committed to Church harmony and unification and was merciless in bringing heretics and their leaders under control,but perhaps he is most famous for a missionary he sent out to spread the word of the Lord. The Pope wanted to bring the Irish race into the Church and sent a priest named Palladius to minister there,but the fierce pagan tribes scared him back to Rome. Celestine then turned to a British priest that knew the island well,having been been imprisoned there when he was younger. Celestine promoted the man to Bishop,changed his name to Patricius and charged him with converting Ireland,and boy did he ever. He converted the Hell out of it. Pun intended. Yes,Patricius is Latin for Patrick! That overachiever was Saint Patrick! 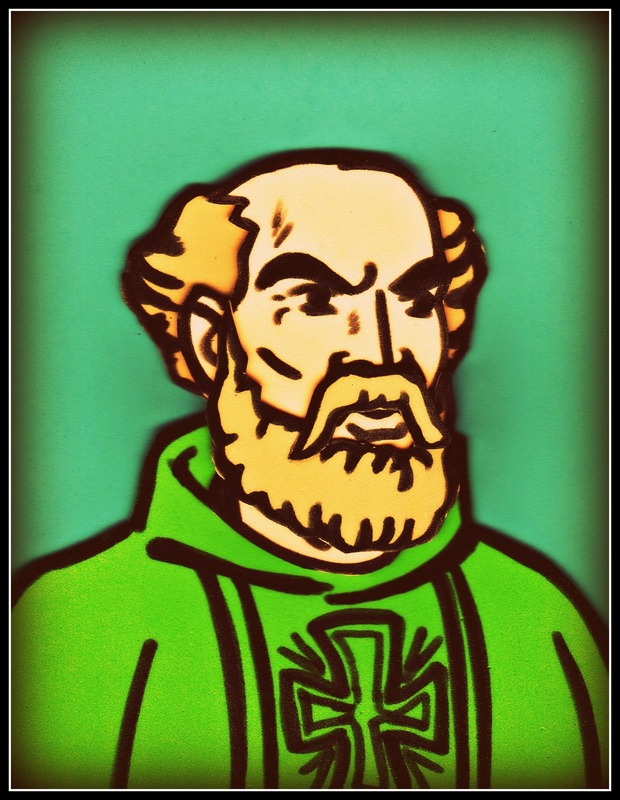 So the next time someone throws up green beer on you or a creep pinches you for not wearing green on St Paddy’s day,you can thank Pope Celestine for setting those emerald wheels in motion. The ill-tempered Pope Zosimus was only in office for a little under two years and he did his very best to irritate or exhaust everyone he came into contact with. First things first,he undid the previous Pope’s condemnation of Caelestius. Caelestius was a believer of Pelagianism,which means you want salvation,but you don’t want or need God’s help getting it. Basically. Caelestius didn’t want to be excommunicated so he told Zosimus that he didn’t believe in that anymore and he wanted nothing more than to proclaim the truth. Zosimus believed him,blessed him,sent him on his way and then wrote strongly worded letters to the African bishops that had dared to believe Caelestius was a heretic. Hold on,replied the African bishops,Caelestius came back and kept right on selling his brand of religion. He pulled the big Pope hat over the Pope’s eyes. Zosimus reversed course and immediately condemned Caelestius…..again. No info on whether any strongly worded letters of apologies went out. The next time the African bishops had a problem with a priest,they went over the Pope’s head(whose authority they cleared did not trust),and went to the emperor to fix it. Again,Zosimus wrote strongly worded letters to everyone involved and was going out of his way to reassert his fragile authority when he passed away of natural causes. The Romans threw many parties on the announcement of his death. Ouch. They can’t all be Pope Francis…..